The Sierra Club’s Mark Worthing and Wilderness Committee’s Torrance Costa kicked off their “state-of-the-rainforest” road show in Port Hardy yesterday to “rail against forestry activities in old-growth areas and the export of raw logs”. 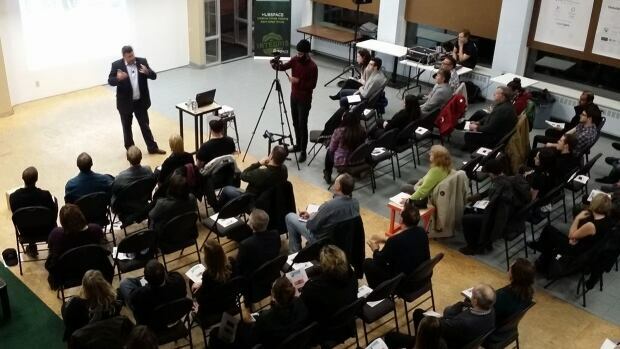 Next up is Campbell River, Parksville and Courtenay. Concerns and calls for moratoriums on logging also appeared in Whistler (old-growth logging) Kamloops (critical Mountain Caribou habitat) and Clearwater (debris flows and mudslides) yesterday. The latest Wood Markets ‘Top 40’ survey is out with the key takeaway being that “2016 was a good year” for softwood lumber producers. The Canadian top 20 lumber companies saw their output rise from 19.6 billion bf to 20.45 billion bf last year while the top 20 U.S. companies increased their output “at a pace that was almost twice that of the entire U.S. industry and 50% more than that of the top 20 Canadian companies“. And ending on a ‘spectacular’ note, the discovery of a colorful little frog with an active nightlife in a South American cloud forest has just been announced. The latest WOOD MARKETS annual survey of the “Top 40” Canadian and U.S. softwood lumber producers featured steady production growth in 2016 due to the cooperation of a strong U.S. market, plus growth in China. Amid an absence of any major mill acquisitions, almost all of the production gains came from existing mills. Of the top forty companies, only three in Canada and four in the U.S. recorded any production declines – a sign of a good year. …The Canadian top 20 lumber companies saw their output rise from 19.6 billion bf in 2015 to 20.45 billion bf last year, while their share of national production slipped to 72% (from 74%). …The top five Canadian producers were as follows: West Fraser, Canfor, Tolko, Resolute and Western Forest Products. …The top 20 U.S. companies increased their output at a pace that was almost twice that of the entire U.S. industry and 50% more than that of the top 20 Canadian companies. WASHINGTON — The most common uses of Canadian dairy normally include milk, cream, yogurt, butter and cheese. 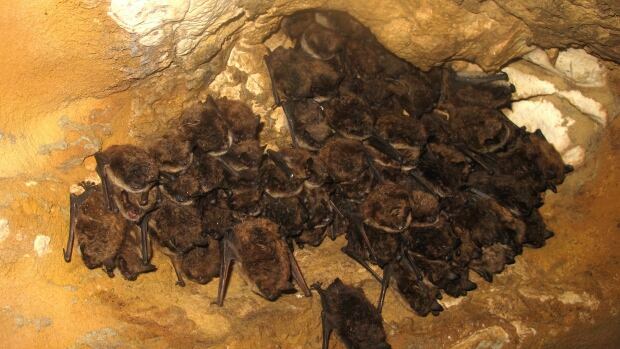 Yet a new report suggests an altogether different purpose for the calcium-packed, bovine treat. The idea — use it as a bargaining chip… Squeezing some protectionism out of both industries would be good for consumers in the two countries, spur economic productivity and ultimately result in more successful businesses, says the report from the Montreal Economic Institute. “Trade barriers have never made more than a small minority of people richer, at the expense of the vast majority,” says the paper, released Thursday. There are two major obstacles to this idea ever happening. The first is that all major Canadian political parties support supply management, which has vocal backing in rural areas, especially in Ontario and Quebec. There also was noisy opposition to the system being nudged open a bit in recent trade deals with Europe and Asia. The second is that there’s no guarantee U.S. negotiators would go for a logs-for-cheese deal. 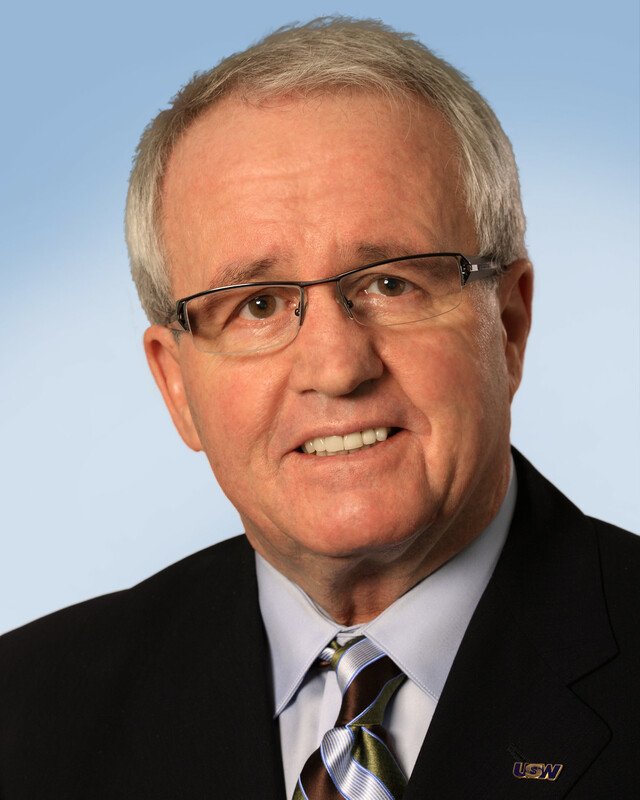 OTTAWA – United Steelworkers’ National Director Ken Neumann says that while the federal budget commits to strengthening Canada’s trade remedy system, more must be done to protect jobs in vital economic sectors facing crisis in the industrial heartland and small communities across the country. “We welcome the government’s commitment to modernize Canada’s trade remedy system and enhance the right of trade unions to participate in the trade remedy process… “In the absence of a Softwood Lumber Agreement, forestry-dependent communities could well be decimated as a result of government inaction,” he said. “This budget could have taken concrete steps to put communities first by committing to provide federal loan guarantees to industry in the face of potentially punishing tariffs from the United States. 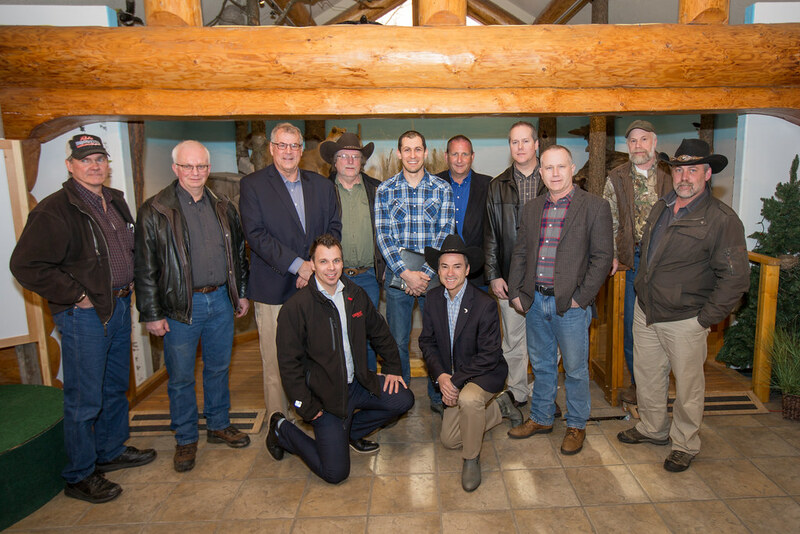 Coast Forest Products Association is pleased to see inclusion of some forestry supportive programs and initiatives in the federal budget announced today by Finance Minister Bill Morneau. Specifically, the provision of $40 million to Natural Resources Canada to increase the use of Canadian wood as a greener substitute for construction and to help to create new markets for our sustainable forest products is a direct and positive step in supporting the sector. Also, as they are revealed, further details will provide an indication of the extent to which the 2017 budget allocations to support clean technology ($1.8 billion), improvement in trade and transportation corridors ($5 billion), and employment and skills training for youth and Indigenous people ($1.8 billion) will impact Canadian forestry as it fights to be competitive in an increasingly challenging global marketplace. Later today, the Senate Agriculture Committee will begin the confirmation process for the man who will likely oversee our rural forests when it holds a hearing for former Georgia Gov. Sonny Perdue to be the next secretary for the U.S. Department of Agriculture. The Agriculture secretary plays an important role in shaping forest policy that impacts so many rural Americans. He holds sway on policies impacting the 192 million acres of forests owned by the US Forest Service and the 475 million acres of forests owned by rural families and other private entities. Some 22 million Americans own woods across America and some 900,000 people are directly employed in a forest products industry that is fueled by our forests. As President Donald Trump looks to boost the hard-hit economies across rural America, his forest policy and the Agriculture secretary will be key. The industrial wood pellet industry is catching its breath after an astounding surge since the turn of the millennium. Global production of pellets totaled roughly 2 million metric tons (MT) in 2001, and roughly 28 million MT in 2015… Of the approximately 19 million MT of wood pellets, lumber, logs and wood chips exported from the continental U.S. in 2016, 7.9 million MT (41 percent) were logs (Fig. 1). 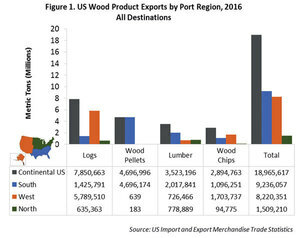 In total, 5.8 million MT (74 percent) of logs were exported out of the West, 1.4 million MT out of the South, and 0.6 million MT out of the North, to other countries. However, most logs (7.4 of 7.9 million MT) exported out of the U.S. were destined for Asian markets. The majority were exported out of western ports due to the region’s high-quality timber and closer proximity to Asia. Ketchikan, Alaska – Twenty years ago this week, the hammer fell on the community of Ketchikan. 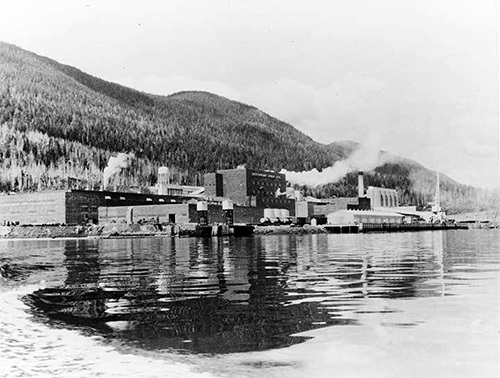 On March 25, 1997, Louisiana Pacific announced the closure of the Ketchikan Pulp Mill, the primary engine of the Ketchikan economy for more than 40 years. The final bale of pulp – which is now on display at the Southeast Alaska Discovery Center – rolled off the production line that same day. The announcement was not a complete surprise, given the fact that the financial and political realities of operating a large pulp mill in the Tongass National Forest had changed dramatically in the 1980s and 1990s. …The closure immediately cost the community 514 year-round jobs and caused a ripple effect that was estimated at least 500 other direct jobs lost. Britvic, the owner of high profile drinks brands such as Robinson’s squash and Fruit Shoots, has revealed it has made significant progress in its quest to develop a drinks bottle made from wood fibre, with patents pending on a range of moulding and processing techniques. Britvic, which is also the UK bottler for soft drinks brand Pepsi, has spent the last three years working with Innovate UK and UK firm Natural Resources to develop a viable bottle made from sustainable wood fibres. As part of the Province’s long-standing commitment to healthy wildlife populations, Forests, Lands and Natural Resource Operations Minister Steve Thomson announced today that all hunting licence revenue will be re-invested to enhance wildlife management activities. Based on input from stakeholders over the last few years, the government will form a new agency in fall 2017 with startup funds of $5 million. The agency subsequently would be supported by hunting licence revenues of $9 million to $10 million each year. Currently, hunting licence revenues support a number of government activities. Hunting licence surcharges totalling more than $2.6 million annually would still be dedicated to the Habitat Conservation Trust Foundation for its conservation projects. A gas fireplace provides heat and light, but the fake wood and burners don’t have the same appeal as a real fire in a fireplace. Wood fires have an almost mystical quality with visions of castles and dragons dancing amongst the flames. It is the unexpected spark of a log or the collapse of branch that provides entertainment… With a wood fireplace, the crackle is not a direct result of the flame. It actually results from the structure of wood. In essence, the cells making up wood are tiny packages of water surrounded by cellulose – they are like little water balloons. Combustion involves just the cellulose portion of the cell, or the wood. Combustion is the conversion of carbon compounds, such as cellulose, to carbon dioxide and water, with the production of heat energy. The water inside each cell does not burn, but it does get hot… But further inside a log, the cells of the wood are surrounded and cannot readily release their water vapour. The pressure builds to a critical point, whereupon the cell explodes with a pop. City of Powell River staff has yet to make a determination on whether one-time timber rights for Lot 450 trees between Townsite and Westview had been extinguished before current holder Island Timberlands acquired them. Information on the city’s legal position on the ownership of the trees was expected to be released to the public on Friday, March 3, but that has been postponed indefinitely until the city can provide a complete response. In May 2015, the city paid Island Timberlands $1.2 million for trees in upper and lower Millennium Park on land owned by the PRSC Limited Partnership between the city and Tla’amin Nation. The Province is committing $749,872 to help unemployed people find forestry jobs through a paid training opportunity with Okanagan College. The funding will give up to 16 people in Revelstoke and the Shuswap areas 16 weeks of paid training in the forestry sector and 10 weeks of on-the-job work experience with local forest operators to prepare them for full-time employment. Once the participants have completed the training, they will be better suited to find full-time work in the industry. The project is being carried out in two groups of eight Employment Insurance-eligible participants. Under the guidance of Okanagan College, participants in the project will be trained in areas such as tree falling, machine work, forestry technology, and risk management, as well as personal employment attributes including conflict resolution, interviewing and job search skills. The Province is committing $749,872 to help unemployed people find forestry jobs through a paid training opportunity with Okanagan College. …Under the guidance of Okanagan College, participants in the project will be trained in areas such as tree falling, machine work, forestry technology, and risk management, as well as personal employment attributes including conflict resolution, interviewing and job search skills. The project is part of the BC Skills for Jobs Blueprint, which is putting British Columbians first in line for the nearly one million job openings expected by 2025. …Community and Employer Partnerships are featured in B.C.’s Skills for Jobs Blueprint and provide more support to people who are struggling to gain a foothold in the job market. They help build stronger partnerships with industry and labour to connect British Columbians with classroom and on-the-job training, while making it easier for employers to hire the skilled workers they need – when and where they need them. An open letter to Premier Christy Clark: In spite of five years of consultation between the Upper Clearwater Referral Group (1000clearcuts.ca), Canfor and the Ministry of Forests, our multiple concerns about proposed industrial logging in the Clearwater Valley adjacent to Wells Gray Provincial Park have been ignored. Canfor is applying for permits to log four more blocks on the western slopes of Trophy Mountain adjacent to the Wells Gray boundary and immediately above the corridor road to the park. Three permits have already been issued. This area attracts tourists from all over the world to visit the beautiful Trophy Mountain flower meadows. Old logging sites above the road have resulted in multiple road washouts in the past 20 years, so slope stability is of great concern. In addition, logging would occur smack dab in the middle of critical habitat for mountain caribou, a species at risk. Two self-described “friendly neighbourhood environmentalists” came to logging country this week to rail against forestry activities in old-growth areas and the export of raw logs. Mark Worthing of the Sierra Club and the Wilderness Committee’s Torrance Costa presented slide shows and handed out maps of Vancouver Island showing the loss of old-growth forests since logging began here. Port Hardy was the first stop in their Island tour of this presentation… Worthing said many of the trees being harvested on Vancouver Island are many year older than Canada itself and he said he had “very little patience” for talk from industry and government about sustainable practices… At least half of the 35 people who attended the presentation at Guido’s Cafe on Monday night work or worked in the forest industry. Some of them took exception to what Worthing and Coste were saying. 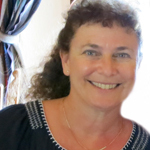 The meeting had the potential to get nasty, but it remained civil…Worthing and Coste were scheduled to host these State of the Rainforest meetings in Campbell River (March 21), Parksville (March 23) and Courtenay (March 24). A proposed logging operation near Hummingbird Creek has unleashed a wave of protest by Swansea Point residents and others who don’t want to see history repeated. The floodgates opened when Swansea Point residents Lois and Dave Schurek received a letter from Tolko Industries informing them of 11 cutblocks being proposed for the uplands above Swansea Point and the Schureks’ home, located on the east side of Highway 97A along Hummingbird Creek… The Schureks have since ignited a protest against the proposal, a response driven by memory of the large, devastating debris flows Swansea Point experienced in 1997 and 2012, as well as numerous smaller mudslides in the area, including one that occurred on Tuesday, March 14… Tolko spokesperson Janice Lockyer said the letter received by the Schureks is part of a process that’s in its infancy… “We are working right now with a hydrologist and geotechs to start the modelling for this process”. Imagine how you’d feel if you woke up one day and found your land contaminated with Atrazine and 2,4-D. Imagine further if your business depended on that land being organic. I think you’d be angry! … …Senate Bill 892, sponsored by Sen. Michael Dembrow, D-Portland, requires the timber industry to work with the Department of Forestry to provide advance notice and chemical information about timber aerial spray practices. Oregon’s timber industries force rural communities to pay a high price for aerial sprays with illness and contaminated drinking water. Organic farmers risk significant losses when their organic certification is compromised. When these two industries clash, we all lose by favoring the timber industry. Accelerated restoration is coming to the Wallowa-Whitman National Forest, including an increase in logging and burning. The U.S. Forest Service has approved a massive proposal to treat more than 100,000 acres on the Wallowa Valley Ranger District north of Enterprise, part of a broader regional effort to increase the pace and scale of forest restoration across Eastern Oregon and Washington. Tom Montoya, supervisor for the Wallowa-Whitman National Forest, signed a record of decision for the Lower Joseph Creek Restoration Project on Friday. Activities will include more than 16,500 acres of commercial logging and fuels reduction, and up to 90,000 acres of prescribed burning over the next decade. PORT ANGELES — Researchers are preparing for a large-scale forest management experiment in the Olympic Experimental State Forest with hopes of benefiting the environment, economy and surrounding communities. It’s a first-of-its-kind experiment for the state and could influence forest management across the Pacific Northwest, said Bernard Bormann, director of the Olympic Resource Center and a lead for the project. The study, a joint Department of Natural Resources and University of Washington effort called the “Large-Scale Integrated-Management Experiment,” will compare four management strategies across 16 watersheds in the Olympic Experimental State Forest. A federal judge in Eugene has recommended that Umpqua National Forest planners better study the environmental impacts of a potential timber sale 60 miles east of Roseburg, near Crater Lake National Park, before it can go ahead. Forest officials say the Loafer timber sale would thin overgrown pine stands and create shrubland patches on about 1,450 acres. Environmentalists say the logging would take away precious northern spotted owl habitat and degrade popular recreation magnets, including the North Umpqua Trail and Umpqua Hot Springs. The logging would occur in federal forestland northwest of Crater Lake National Park. U.S. Magistrate Judge Jolie Russo issued her recommendation Monday, stopping the U.S. Forest Service for the time being from moving forward with its plans for the Loafer timber sale. The Pacific Ultrapower plant in Chinese Camp is back running, which is helping the local tree mortality efforts. There had been earlier concerns about the ability to process biomass in Tuolumne County, following an extended closure for retrofitting, and an expiring contract with PG&E. Tuolumne County Tree Mortality Project Coordinator Mike Albrecht spoke about it on Mother Lode Views this past weekend. “After about five months of retrofitting, they (Pacific Ultrapower) have put in a whole new boiler package into it, and lot of boiler tubes. They spent nearly $3-million on the plant, so that tool is now back available to us. A requirement in their new contract is that they have to use a lot of the tree mortality product to even run the plant. This year, in rough calculations, they are going to use about 2,400 truckloads of tree mortality product, which is about 60,000 tons. WASHINGTON – Taking the United States to court, an Arizona-based Native American tribe blames federal mismanagement for putting their once thriving timber industry against the ropes. Describing itself as the country’s 11th largest Indian reservation, the White Mountain Apache note that their vast natural resources “are of enormous economic importance to the tribe.” “If managed correctly, the reservation’s natural resources would sustain the tribe and its members into the foreseeable future,” their complaint states, filed on March 15 in the U.S. Court of Federal Claims. Though the United States has held these resources in trust for the tribe since at least 1871, the White Mountain Apache say mismanagement has resulted in substantial losses — the full extent of which is not yet known. What’s unusual about the growing Linville Gorge fire? How it started. Lightning probably caused a wildfire raging in the Linville Gorge wilderness that has burned 1,750 acres, federal officials say. The White Creek fire, which was reported Thursday at 75 acres, is burning near Shortoff Mountain at the southern end of the gorge in Pisgah National Forest. It is 30 percent controlled; 169 firefighters are on the scene. The gorge is popular with hikers and rock climbers. Firefighters on Tuesday burned areas within the controlled area to consume fuels that would feed the wildfire. Steep terrain has hampered their work, and the gorge’s federal wilderness designation means firefighters are trying to minimize impacts to the ground and vegetation. What started as an unpermitted burn on Nassau County’s west side Wednesday turned into a raging brush fire that triggered a mandatory evacuation in Bryceville as firefighters worked to corral the blaze… “The soil is dry because the plants are sucking the water out of the soil to green up for the spring, and there’s less rainfall. You typically get drier air this time of year,” Winter said. “… As of Tuesday, the Florida Forest Service reported 13 active fires burning 1,216.4 acres in Baker, Clay, St. Johns, Putnam and Nassau counties. Statewide this year through Wednesday, 885 fires burning 35,886 acres have been reported. 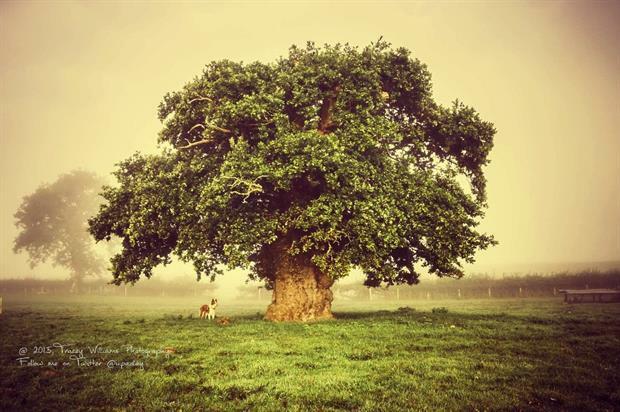 The Brimmon Oak in Wales has finished runner-up out of 17 entrants in the European Tree of the Year contest, whose results were announced last night (21 March). The result is the best ever for a UK tree in the seven-year history of the continent-wide contest, organised by the Czech-based Environmental Partnership Association. The ancient pollarded oak, near Newtown, Powys, is thought to be at least 500 years old, has been cared for by one family for generations. In 2015 it was threatened with destruction by a new bypass, but this was averted after a public campaign. Heat and CO2 coming from the Resolute pulp mill will power one of the most efficient greenhouses in the country, the Toundra Greenhouse. 48.65° North. It’s -10 °C outside and a foot of snow already covers the ground. An intense orange light appeared in the Northern Lac Saint-Jean skies just over a month ago showing some signs of industrial development. But forget about any forestry or aluminum development like the region is used to. This time around, it’s all about cucumbers. And it’s big – a $38 million greenhouse project spreading over 8.5 hectares of land. Inside, state-of-the-art Dutch technology produces amazing results: 360 cucumbers growing per square metre, much more than the forecasted 275 per square metre. “It is now the most productive greenhouse in Canada,” states Eric Dubé, Toundra Greenhouse general manager, who compares the productivity to Quebec’s (80 cucumbers per square metre) and Canada’s (200 cucumbers per square metre) average.